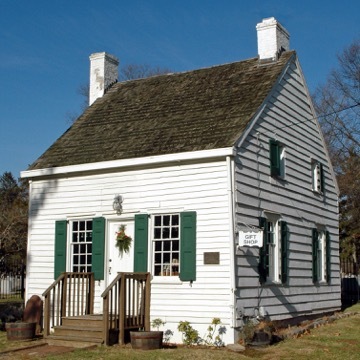 The Merchants and Drovers Tavern Museum maintains the Terrill Tavern which was built in the early 1700s. 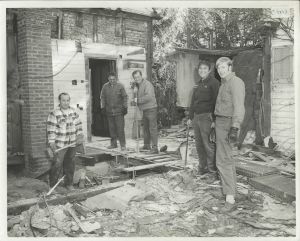 The Museum Association saved the building from being demolished in the 1970s . Through the help of volunteers, the historic structure was moved to the Merchants and Drovers’ property and has been preserved as an example of an early Colonial home. 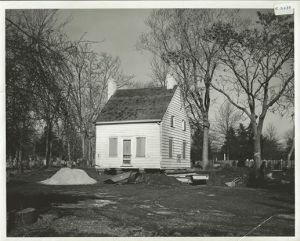 The building now serves as the Museum Gift Shop. 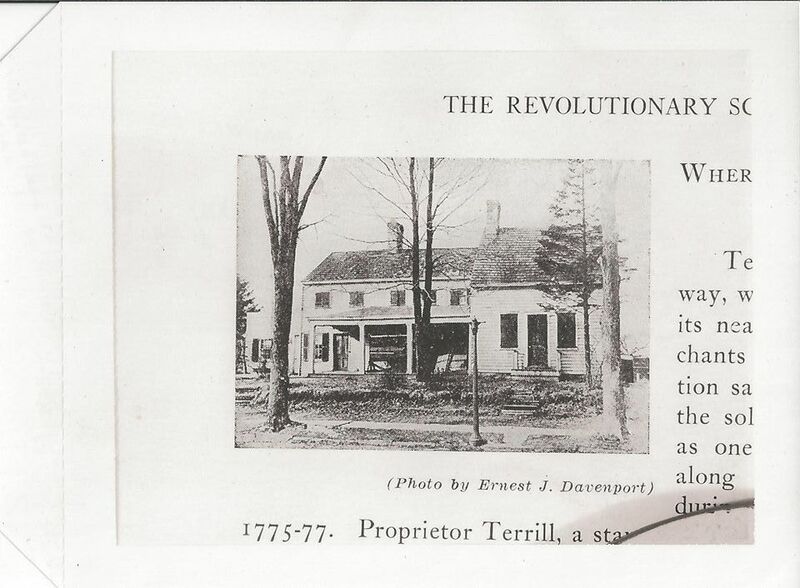 The Terrill Tavern as it stood at its original location. 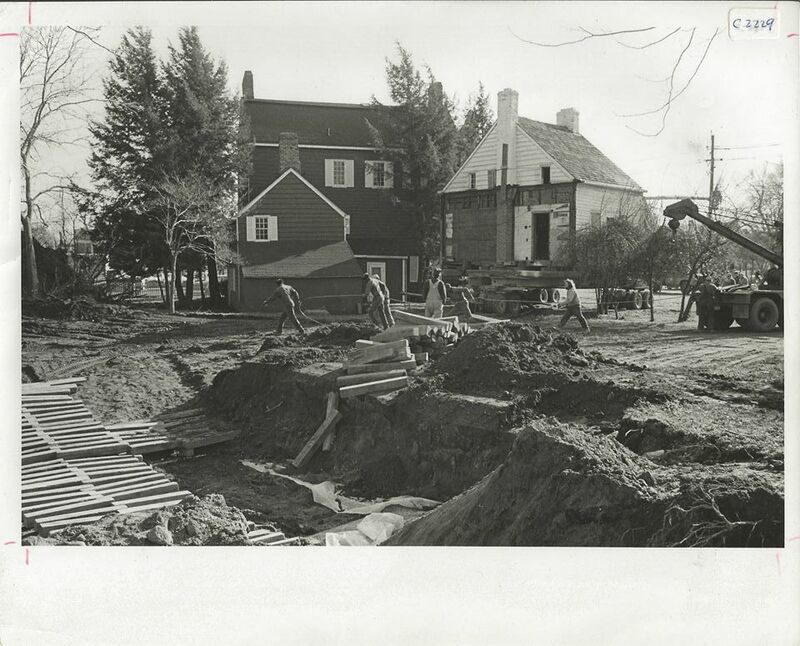 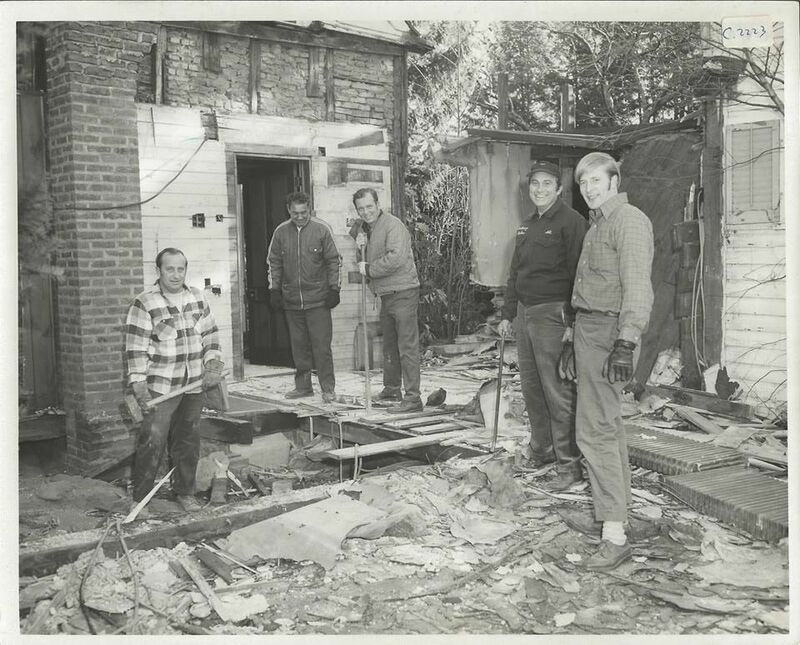 Above: Volunteers prepare the Terrill Tavern’s new foundation.